I love spiderwebs! They are fascinating to me. We had an Orb spiderweb in our backyard. DH and I would look every day to check the status of the spider and his web. One day we went to look, and it wasn't there. Such disappointment! Nature is so interesting. And we are sooooo blessed with rain and cooler weather here in north Texas! 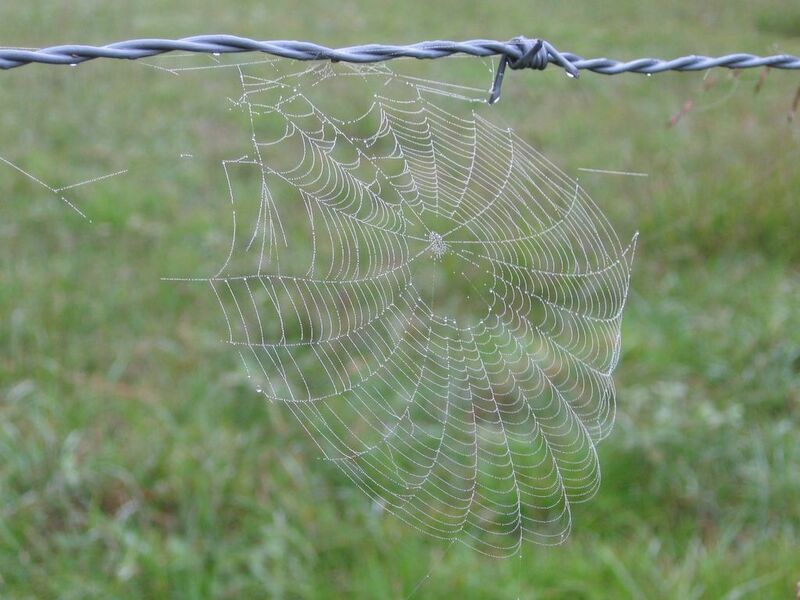 I'm always awed by the poetry of spider webs. Very nice blog. I hope you won't mind me adding you. Charlotte's web........ made my day! That photo is great! Pair up your web with Joe's spider at Culinary in the Desert! spiders are great little engineers. We had one make his web in front of the carport, and a couple of the web's anchors were about 6 feet long.